This sleek smart TV allows you to enjoy your favorite movies, addictive TV shows, and streaming video clips. You are provided with an array of possibilities and options for displaying photos and websites on this TV’s sharp HD display thanks to its smart capabilities, multiple USB and HDMI ports, and the built-in WiFi. 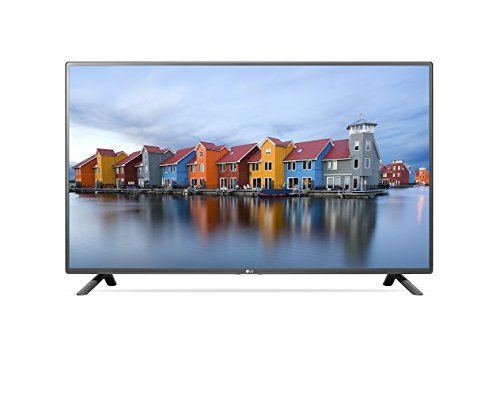 Anyone who’s after a great TV that will enhance their viewing experience as well as gaming should consider purchasing this LG Electronics 55LF6100. This TV is extremely easy to use since LG has ensured a very streamlined Smart television experience with an accent and focus on stuff users and customers actually want to use, and that is streaming video. You have access to services like YouTube, Netflix, Hulu, and many more, and this suite is named Premium video on demand (Premium VOD). Since this TV boasts only basic Smart TV features, performance is going to be way better than what we’ve seen in the past. If you think that a robust Smart TV features will only gather virtual dust, this TV is probably the right way to go. It will save you some cash as well. On the other hand, if you change your mind and want a better and wider Smart TV experience, there is always the option of adding a Roku box. Regarding the choices with sound mode options on this TV, the best choice would probably be the Cinema setting where the Clear Voice II setting is enabled, and the level is set at 3. The Standard setting with Clear Voice II enabled would be a close second. Overall, the sound quality of LG Electronics 55LF6100 is really excellent. It is important to have a TV with good sound, and this TV highly matches that criteria. Minimalist TV designs like this one are mostly used in spaces that don’t have home theater systems therefore good sound quality is pretty important. Contrast and color on this TV come out strong while viewing from center and front. Even though there is no IPS panel, bright color reproduction and side viewing angles are not bad at all. Color accuracy is natural and bright after calibration, and has loads of light flow-through. 120Hz refresh rate is amazing, especially for a value model like this one. This really helps with fast sports action and gaming motion lag. Fast on-screen action as well as sports programming end up looking much sleeker on a native 120Hz screen. Furthermore, for a value LED TV like this one, off-angle viewing performance is pretty decent. LG Electronics 55LF6100 is probably the best value on the market for contrast and black levels this year while viewing from center and front.